Want to really connect with an audience and capture their attention? 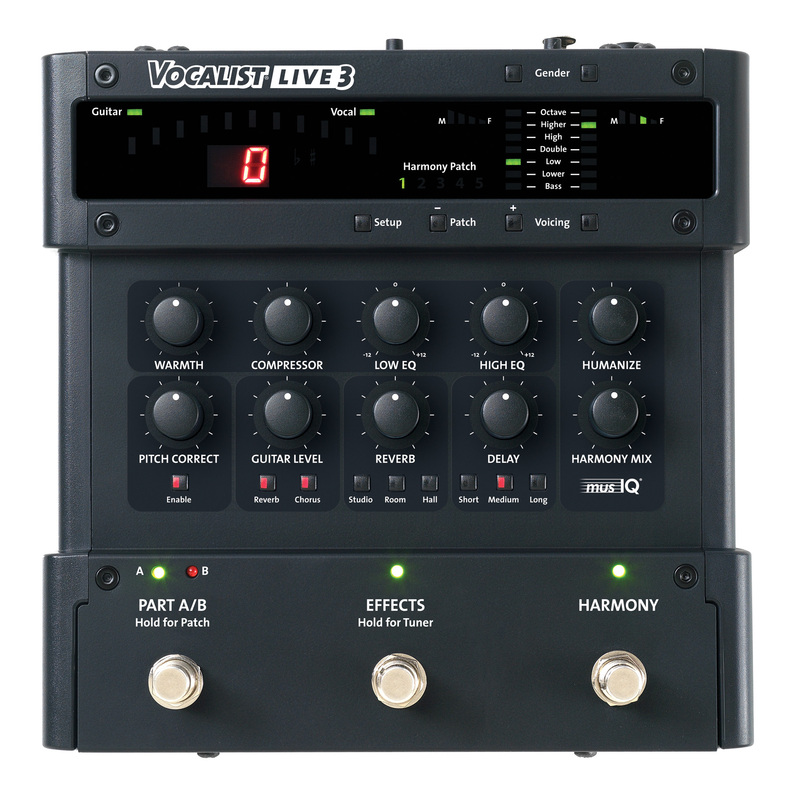 Let the Vocalist® Live 3 triple your voice with warm, natural-sounding harmonies. The Live 3 automatically follows your vocals and chord progression using patented musIQ® technology so you don't have to program a song's key or key changes. 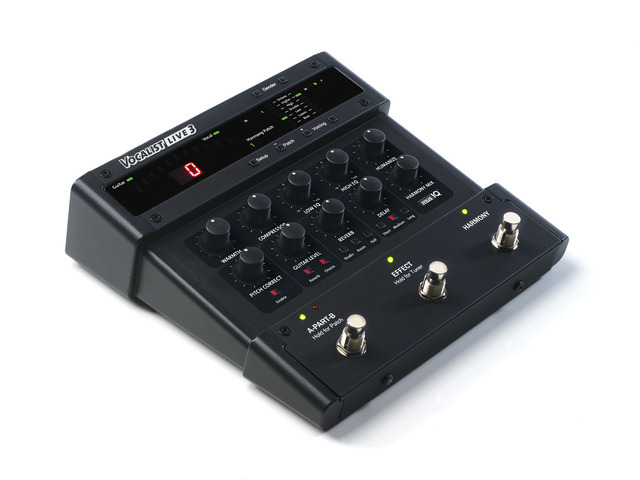 Just step on the footswitch while you're playing to fill the room with pitch-perfect backup vocals. You can even have the harmonies sound male or female, and increase their human factor for an organic, realistic sound. 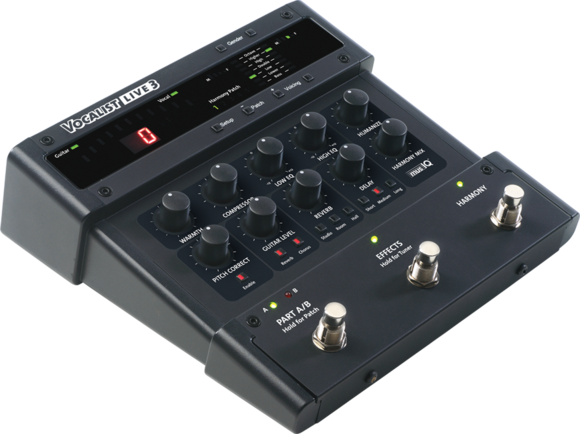 The Live 3 also keeps your song right on target with built-in pitch correction and a variety of useful and intuitive effects like warmth, compression, a noise gate and a two-band EQ. Add in reverb, delay, and a built-in tuner, and you've got an indispensable tool that will have you turning heads and inspiring applause like never before. musIQ is a revolutionary technology that eliminates the need program a song's key or changes to create accurate harmonies. musIQ analyzes your lead vocals as well as the chords and notes played on a guitar in real-time to automatically generate perfect vocal harmonies. Simply plug into the Live 3, play your guitar and sing. 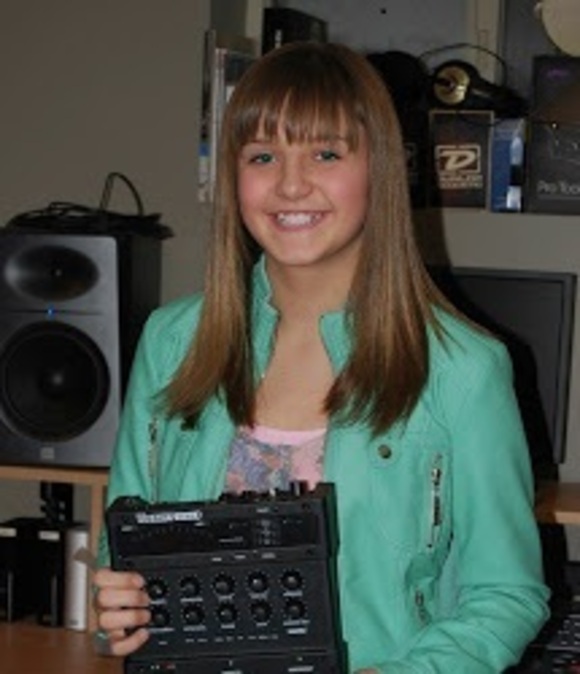 The musIQ technology will ensure the harmonies are always right on. Automatic intelligent 3-part harmony, your voice plus 2 more. Five Harmony Patches to save harmony settings, each with an A and B parts for quick, easy changes on-stage.